It was the helicopter that caught our eye. Elegant as a dragon-fly, gleaming in the evening sunlight between two fat white clouds in the blueness of the sky, it hovered. 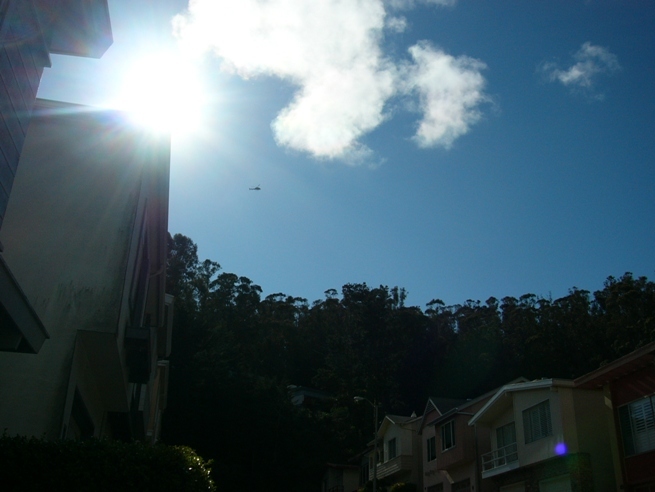 It was going nowhere, and as we neared home, it seemed to be over Mount Sutro Forest. I jumped out of the car, and took some photographs, not easy because it was into the sun, which at 5.15 p.m. was still quite high. What was happening? I went off into the forest to take a look. 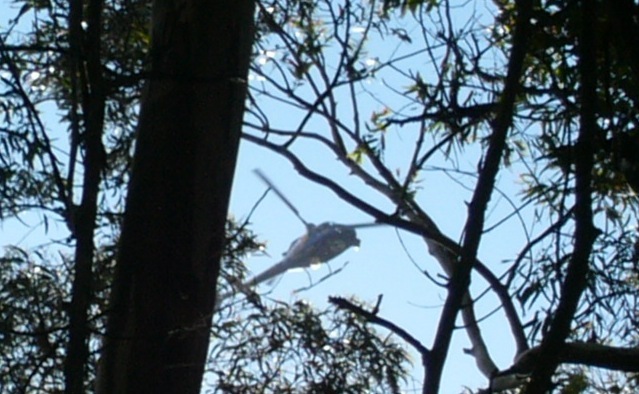 I could see the helicopter through the trees, on the western side of the forest. But what was it there for? All was quiet in the woods; the only other people there were a couple of friendly bike-riders who called a greeting as they rode past. It turned out I was barking up the wrong trees. 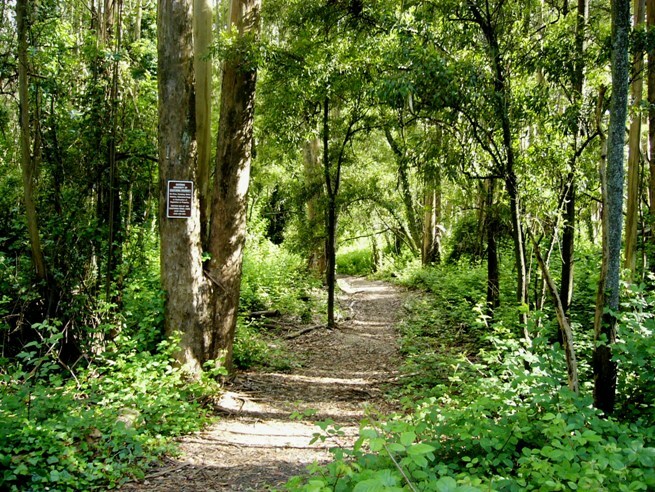 The cause of all the commotion was right back here, in Forest Knolls. The first block of Christopher was blocked by an SFPD car, yellow tape, and a couple of news reporters with cameras. Aha. I made my way back to where the police car still stood, and talked to the officer. “Some old munitions,” he said. “World War II stuff?” I asked. “Did someone just buy a house and find it?” I asked. “It’s just a news helicopter,” he said. Later, Lulu posted a KRON news report to our neighborhood group (where Nola had already given everyone a heads-up). 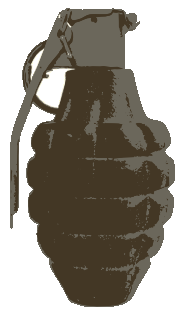 “The SFPD Bomb Squad found a WWII Era grenade at a residence,” the report said. The SFPD had gotten a call at 2.33 p.m. They planned to remove and detonate it tonight. My foray into the forest wasn’t wasted, though. It was an absolutely lovely afternoon in the woods.